Choosing engagement rings is not always easy. There are those who veer towards simple, classic styles and there are those that are more drawn towards rings that are rich in meaning. For brides-to-be who want something a little more romantic, there are some spectacular ring styles to be found that certainly bring on the romance. In this guide, we have rounded up some of our favourite engagement rings that are sure to appeal to those looking for something special. Looking for something unique for the love of your life? If a standard solitaire won't do, you will need something special. 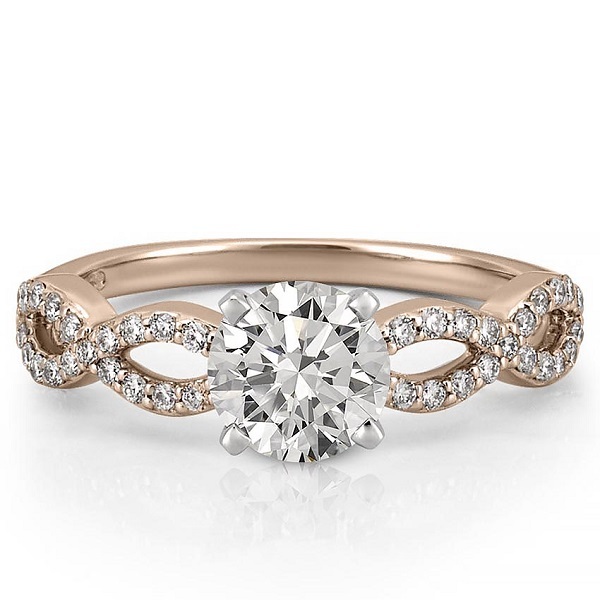 These engagement rings are loaded with symbolism, beauty and romance. 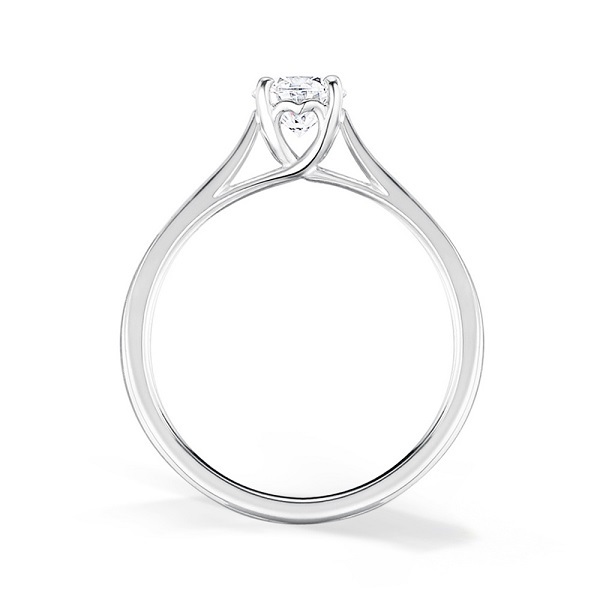 Subtle and sweet, this ring uses profile detail to create a hidden heart that can be only seen from certain angles. 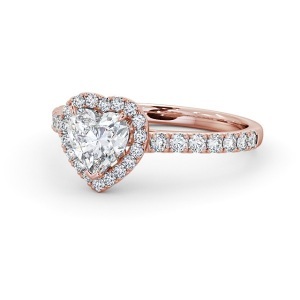 If you love the idea of adding a heart to your ring without using a heart-shaped stone, this is a great choice. 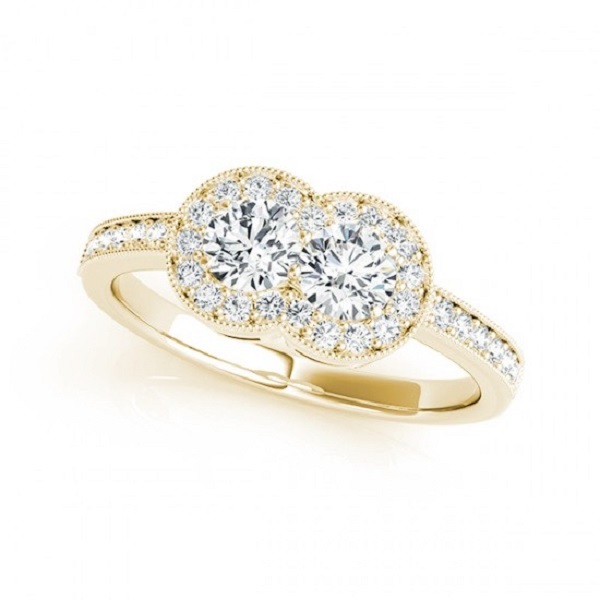 This ring style would look beautiful in any metal, with added pave stones or a plain band. Infinity bands are loaded with symbolism, representing the endless journey you take together as a couple. This ring is also versatile, working well in a single metal or even in two tone with contrasting metals. Whether you add pave stones, keep one band plain, change the shape of the centre stone or add additional detail, this ring is timeless and elegant. Two stone rings represent the duality of marriage. One stone represents the friendship you have, while the other represents the romance you have as a couple. In every relationship, it is this combination of romance and friendship that keeps the love going, year after year. Add extra detail with an intertwined band or keep it simple with the two stones set into the band. 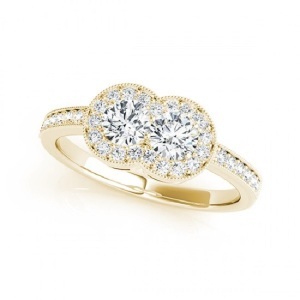 Three stone or trilogy rings are equally rich in meaning. These rings represent your past, present and future – each phase of your relationship. Cape Diamonds offers a fine collection of three stone rings, with a choice of metals and designs. This classic style features the three stones on a platinum band. 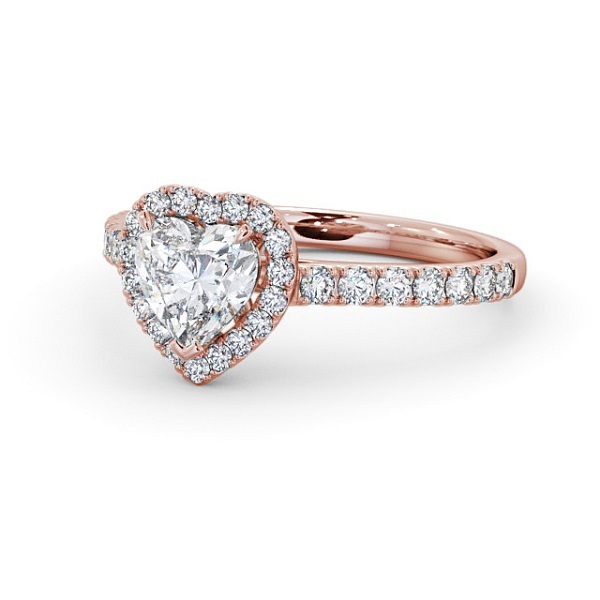 What could be more romantic than a heart-shaped diamond surrounded by tiny pave diamonds? 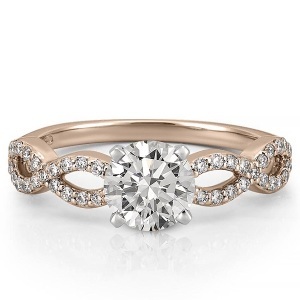 With added pave stones on the sides of the rose gold band, this halo ring is certainly romantic. It is perfect for brides who are looking for something elegant and timeless. Knotted rings symbolise the intertwined connection that you share with your beloved. When you add contrasting stones such as sapphire, the effect is eye-catching and spectacular. This ring would work well in any metal, with any stone of your choice. Keep both stones the same or use contrasting stones for added effect. 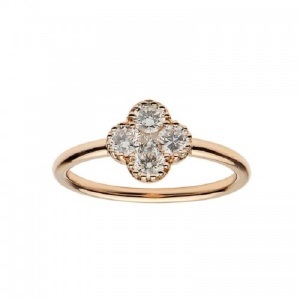 This ring features a lucky four leaf clover. 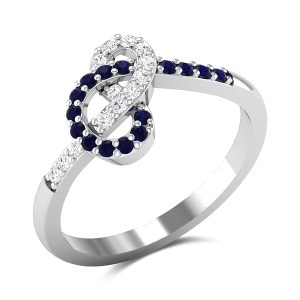 If you feel that your relationship and bond was serendipitous, this ring is sure to appeal. Whether kept simple with a plain metal band and small stones arranged in a clover shape or enhanced with pave stones, twisted bands, two tone metals or even different coloured stones for each leaf of the clover, this ring is ideal for those who have a love for myths and legends. Morganite remains a popular stone for engagement rings. 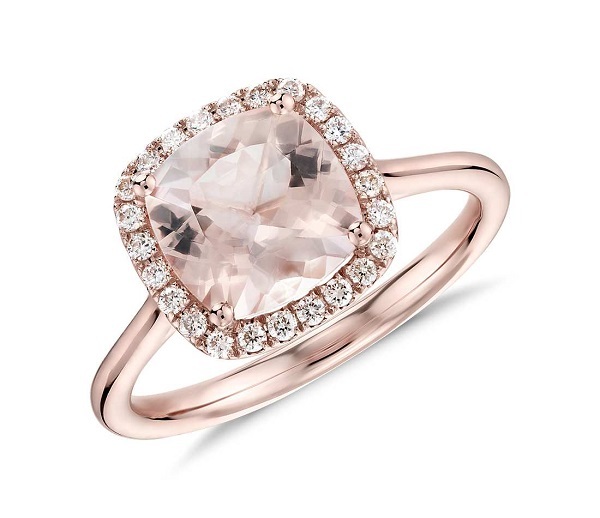 It has a warm pink hue and is able to work well with diamonds, rose gold, white gold and platinum, making it very versatile. Keep the band simple or add some diamonds for a bit of added sparkle. We hope that these ring ideas help add some inspiration for your ring. 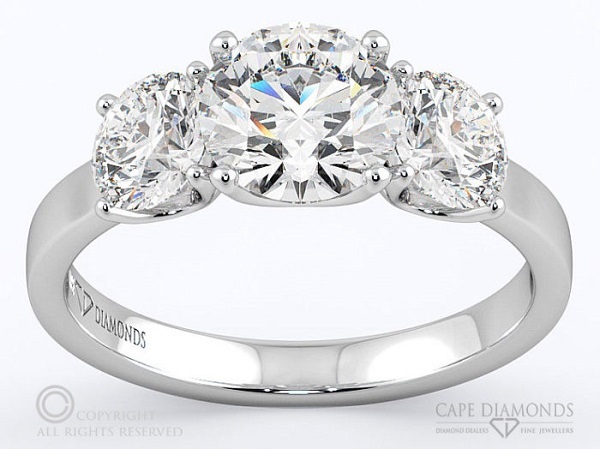 If you're looking for the finest custom engagement rings in Cape Town, get in touch with Cape Diamonds today and let us know how we can make your ring dreams come true.